Tony Zingale, the executive chair of Jive Software, once quipped, “We know more about what our high school girlfriends had for dinner than what’s going on within our organization.” Why is that? For one thing, our consumer apps and social media platforms are built around the notion of collaboration, not workflow. But doesn’t workflow require collaboration? Exactly. The general lack of internal awareness within organizations is tied to the business IT world’s lagging behind consumer applications. Many of today’s enterprise IT systems model specific workflows. In the electric utility business, IT systems are organized along departmental lines. Integration among electric utility systems has been tough, expensive, and clunky. Geographic information system (GIS) technology is no exception. Most power companies model their GIS around particular workflows. The most basic GIS workflow is maintaining the current status of electric devices in the GIS. The lag between the time a worker documents a change in the field and the time someone documents that same change in the GIS may be days, weeks, and even months. That’s hardly collaboration. In contrast, when someone posts a comment or Like on Facebook, Twitter, or Instagram, every friend knows about it. Collaboration starts right away, unlike the historic GIS. On a slow day, the GIS staff might have a backlog of a couple of days’ worth of data to process. In extreme cases, utility backlogs of unposted information can be huge. The problem is obvious. To paraphrase Zingale, people in the field know more about what their kids are tweeting than the hazards that may lie in front of them. The maps they depend on to navigate field hazards are days, weeks, or months out of date. Lack of internal knowledge can be pricey. When I worked for a power company, one of my jobs was head of engineering. I was responsible for system planning, among other things. The planners weighed the forecast demand against the facilities we had available. Often the result of their studies was a recommendation to build a new facility. I recall one situation where we needed to build a new substation. The idea was to find a parcel of land close to an existing transmission line to minimize costs. The first order of business was to enlist the help of the utility’s real estate department to procure property for the substation. Power companies tend to own a lot of land. So I went to Don, head of our real estate department, and asked him to look for a parcel that was zoned, of sufficient size, and close to a transmission line. Don was protective of the company’s assets and kept a lid on which properties the power company owned. He regularly bought and sold land. Don had just closed on the sale of the perfect parcel of land earlier in the week. Why didn’t we come to him with the request sooner? The answer was, of course, that we didn’t know what kind of property we needed until the planners completed the study. Had Don shared information about the company’s real estate holdings with everyone, the planners could have known about the available land before it was gone. Don had to go back to the marketplace and pay more money for a parcel that was farther from the transmission lines. The problem wasn’t just that Don didn’t share his private data but also that the company’s information systems were workflow based and not built for collaboration. Don had a real estate management system, and the planners had automated distribution planning tools. All these tools were optimized to do a particular workflow, but none considered sharing, communication, and collaboration. In his landmark book The Age of the Platform, Phil Simon states the value of platforms quite simply. A platform “allows people to reach and connect with one another to obtain information.” Modern platforms don’t wait hours, days, or weeks to share data; they do it in real time. Maps are one of the earliest forms of communication. System planners use maps. Real estate agents use maps. Most people use maps to find their way. The good news is that GIS has evolved into a location platform. While GIS is still used to capture all kinds of information about the electrical network—the so-called system of record—it now has the ability to share that data and all kinds of other location information with anyone who has access permissions. This is called a system of engagement. Liberating internal data optimizes operations, communication, and customer service. So imagine if my system planners had had direct access to available parcels that the power company already owned. Imagine if Don had had immediate access to the proposed location of a new substation. We could have saved the company a lot of money, shortened the project timeline, and avoided a battle with the new neighbors. Most people are not crazy about substations in their backyard. Esri’s ArcGIS platform is designed to do a lot of wonderful things. 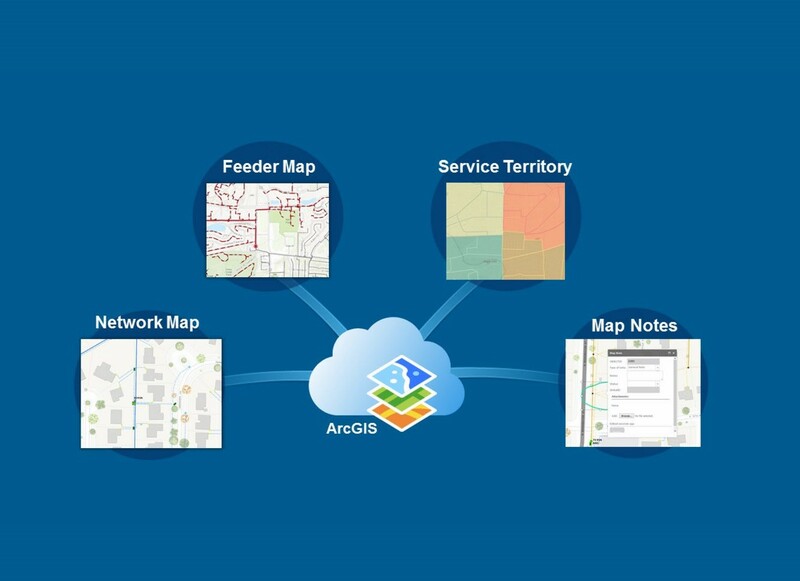 Like Facebook, Twitter, and other platforms, ArcGIS allows electric utility employees, contractors, customers, and regulators to reach and connect with one another to obtain information—in real time, on any device, and anywhere. The notion of collaboration will become even more critical as electric utilities migrate from delivering goods (electricity) to delivering services—where consumers become “prosumers,” power flows in both directions, and information becomes as valuable as the product. The ArcGIS platform is one of the key technologies that today’s companies need in their journey to becoming a utility of the future. With the ArcGIS platform, fieldworkers, office workers, executives, and contractors can know just as much about their organization as what their high school girlfriends (or boyfriends) had for dinner last night. To see the ArcGIS platform in action for electric utilities, come to the Esri User Conference, which takes place June 27 – July 1. Register now.